Shoshana qualified in October 2009 and joined Fox & Partners in September 2013. She trained and qualified at a London firm in the West-End. She has specialised in Employment Law since October 2009 and also Partnership Law from September 2013, advising on a wide range of day-to-day and complex workplace and partnership issues. Shoshana advises on non-contentious and contentious matters, acting for employers, employees, senior executives, partners, members, LLPs, partnerships and professional service firms, guiding them to achieve their aims in a cost-effective and sensitive manner. Shoshana recognises the importance of being able to explain complex legal concepts in a straightforward and accessible manner. She has particular experience advising on workplace disputes, employment litigation, redundancy, stress at work, handling exits of senior individuals, restrictive covenants and negotiating effective settlement agreements. She is also experienced at drafting and reviewing contracts and policies. Shoshana focuses on getting to know and understanding her clients’ goals so that she can provide the help they want. She enjoys handling sensitive departures and helping clients to negotiate agreed exit terms ensuring that their interests are protected now and into the future. Super Lawyers 2015 rank Shoshana as a Rising Star for Employment Law. 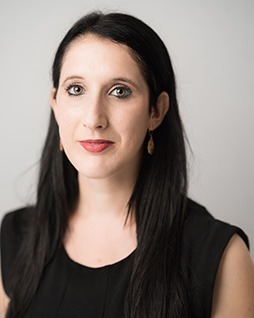 Shoshana is a member of the Employment Lawyers’ Association, the Association of Partnership Practitioners and is on the Norwood Lawyers’ Committee. In her spare time she enjoys retail therapy and escaping to hot climates.